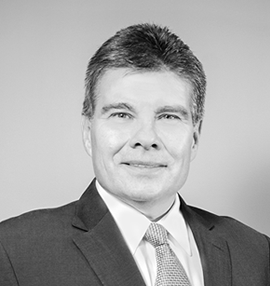 As a Managing Partner and founding member of Summit Search Group, Bruce Proctor is a specialist in mid to senior level search and leads the firm’s industrial and technical sales and management recruiting practices. With over twenty years experience conducting high-impact searches, Bruce has demonstrated an unparalleled ability to consistently deliver value across all industrial based sectors. Whether serving emerging or established clients he has led engagements in electrical/mechanical, oil and gas, energy sectors, material handling and supply chain to name a few. Being involved with hundreds of companies, Bruce has gained an extremely insightful vantage point into what makes companies succeed. Speaking with many senior executives, he has developed access to a network of leading talent and can quickly assess behaviors of leaders. He has a great deal of experience working with hiring managers to help pinpoint their staffing needs and insure that they find superior employees in addition to directing candidates to maximize their full potential. Prior to Summit Search Group, Bruce worked for a global corporate industry leader, where he received numerous acknowledgements of achievement in senior sales and management roles through his extensive experience in selling at the executive level to Fortune 500 organizations.